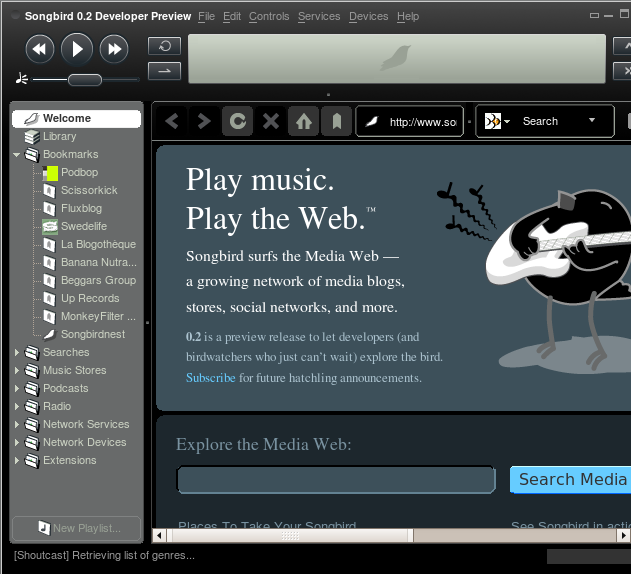 Songbird™ is a desktop Web player, a digital jukebox and Web browser mash-up. Like Winamp, it supports extensions and skins feathers. 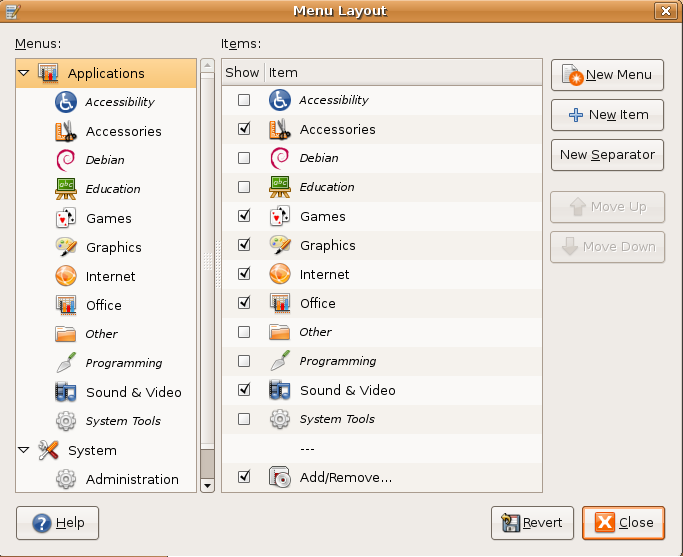 Like Firefox®, it is built from Mozilla®, cross-platform and open source. You can replace the ruchi with the name of the user you want to run. This will open songbird application. That's it your songbird music player is ready to play for music and it is really worth to install and try to play your music.I am sure you would love it. Great! 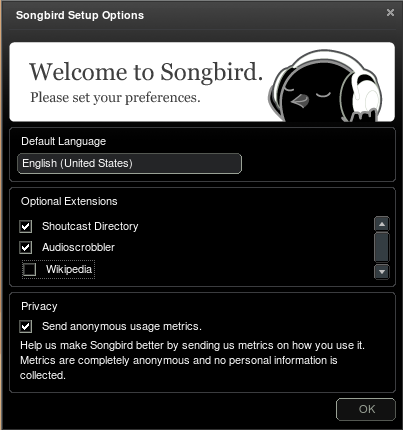 And how do I uninstall Songbird? Does Songbird handle aggregation (automatic podcast retrieval) well? I’m interested in something a bit less cumbersome than Amarok to use as a “podcatcher”. Whats the difference between Songbird and Democracy TV? 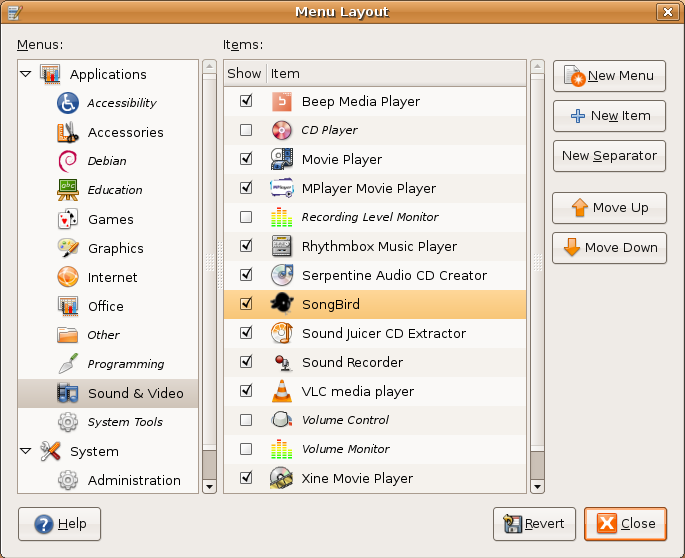 Song bird does not play with desktop composition (beryl, compiz/xgl….). It works, but does not wobble. Same here. At first I thought it was a dependency issue, so I verified that I had all of the packages and libraries listed at http://www.songbirdnest.com/support/#2 but still no joy. Thanks for the how to!!! Worked great!! That is a beryl/xgl setting that you need to change. Beryl will make whatever type of window you want to wobble, but since Songbird doesn’t run inside a standard window, you need to set Beryl to wobble whatever type of window that is. It can be done as it is running on my machine. For those of you getting the “Cannot Execute Binary File” Download the other Binary. The smaller of the two worked for me while the other gave me the error. 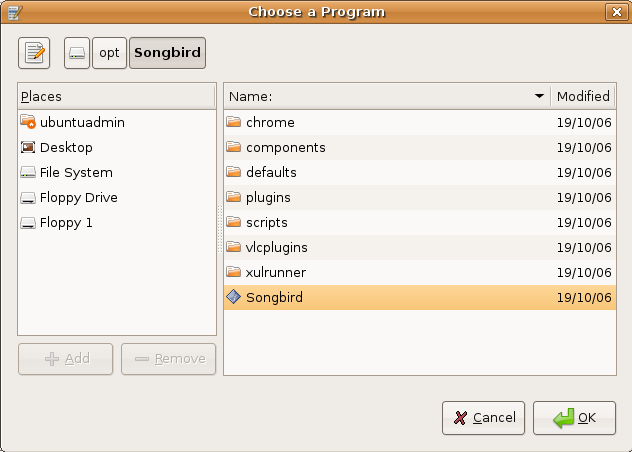 Hi, I have managed to install Songbird and set it all up, but when I go to run it I need to create a profile. I do this fine but when I try to use the profile I just created i get an error saying that it is already in use and I need to close the other instance of Songbird. However there is no other version running! I can ear my music with songbird now! I am having a problem with the binary too. First off what do you mean by second binary? Where would i get it and what would i do with it? Linux noob here working on a Dell Laptop. 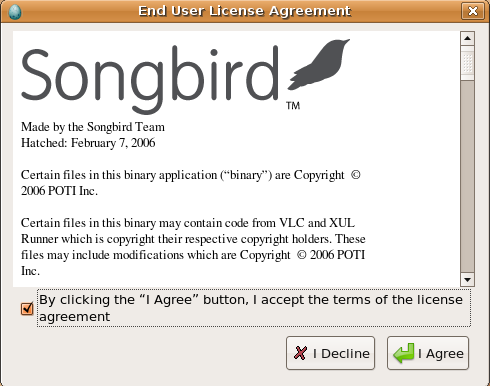 When I get to tar xzvf Songbird_0.3_linux-i686.tar.gz it says there is no such file or directory as Songbird. As you can tell I am trying with the newest version of Songbird. Hey man, thanks so much for your help. This is very useful. 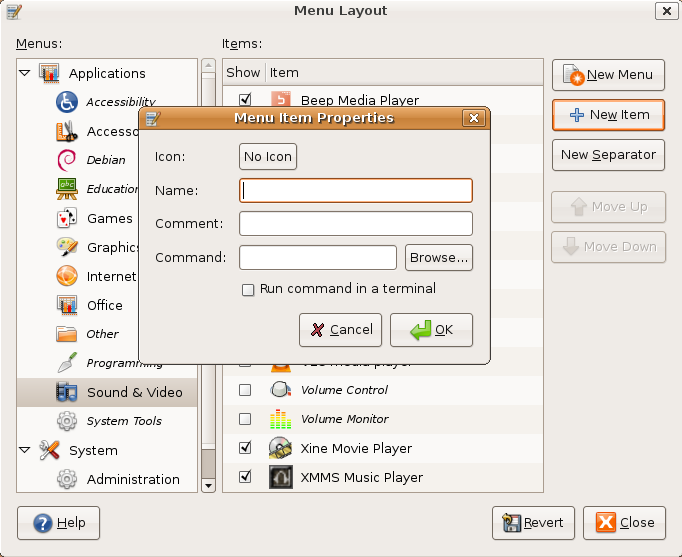 for this how to to work, the downloaded file must be in the Home directory. Hey,thank you so much. This works great. One thing though and I don’t know if this has been mentioned before in one of the comments — I had to prefix “sudo” for the tar command up there. I think it was because it needed permission to modify the /opt directory. I gave you credit, so I hope that is close enough. It should be posted in a day or two. 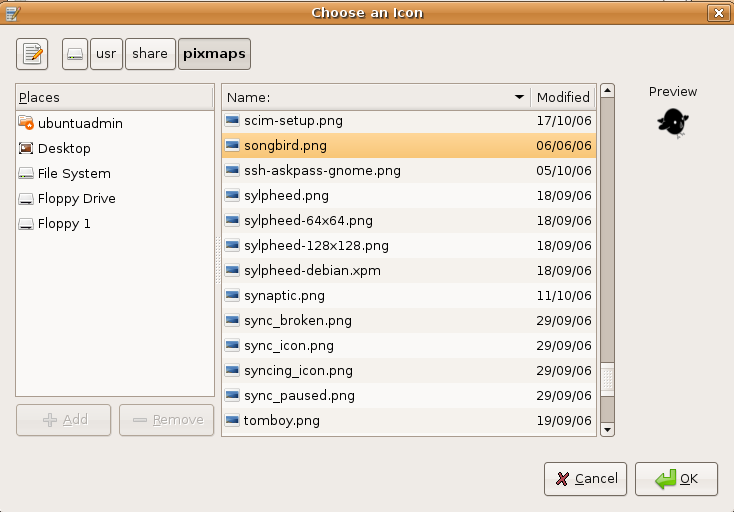 Its not clear to me where I can find the songbird .png icon file for creating a menu item. The sentence explaining this is a but of a run on. The link just brings me to the download page and I don’t know what or how to get tho the buttons section. Yep the instructions are somewhat error ridden – its curious why admin has not updated the instructions re: chown “you may want to change the username…” is just plain wrong. the $USER will be expanded to your username by the bash shell. you are setting the owner and group. 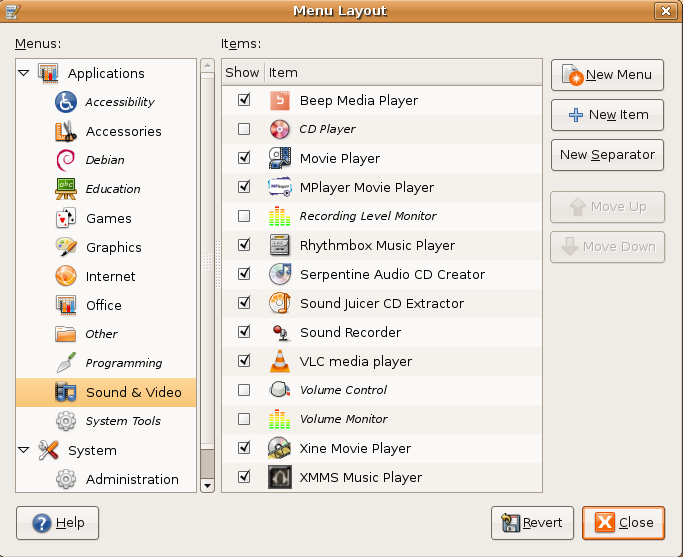 The Desktop is just another directory so you can cd to it. 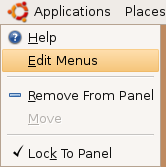 and voila it will now show in the menu. So admin please dust off the keyboard and fix the errors. Excellent – very helpful. Some differences / updates: I needed to use sudo to run the tar command. 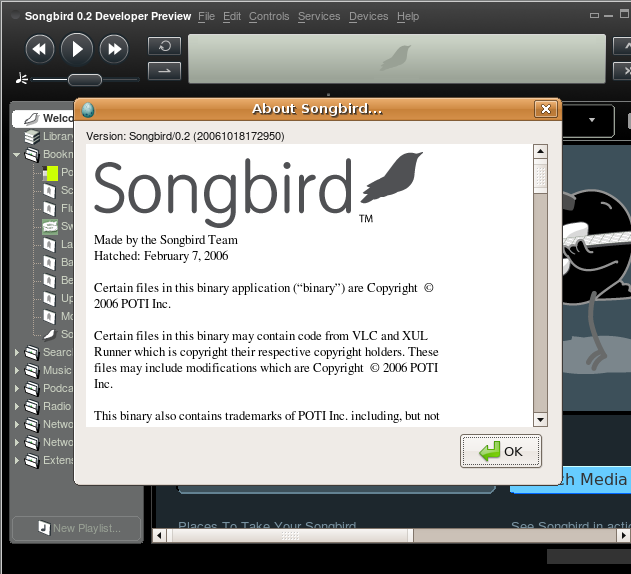 Also, the songbird.png icon file was a part of the tarball.